Nothing helps soothe the soul and the bones in Cold Weather better than a big bowl of hot chili. Either way you serve it - whether with Hot Buttery Cornbread or a Grilled Cheese Sandwich - its just plain good. Here's Your Recipe - Enjoy! In a large skillet, cook and break up ground beef just until all the pink is gone out of the meat; drain fat; leaving about 2 Tbsps fat in skillet. Add ½ cup water and continue cooking [ about 2 minutes longer] until meat is thoroughly cooked - separating meat into tiny pieces as it cooks [do not leave this step out]; scoop cooked meat to one side of skillet. Add onion and celery (if using) to skillet; sauté until tender. Mix meat and sautéed vegetables together; add seasonings; stir to coat meat mixture well. Pour meat mixture into crock pot or large saucepan and add rest of ingredients. Cover pot and simmer over medium-low heat for 30 - 40 minutes. petite diced tomatoes or 1 cup V8 juice. * If you prefer a really thick chili – substitute 1 (14 oz) can ‘really good brand’ of canned chili with beans for chili beans. 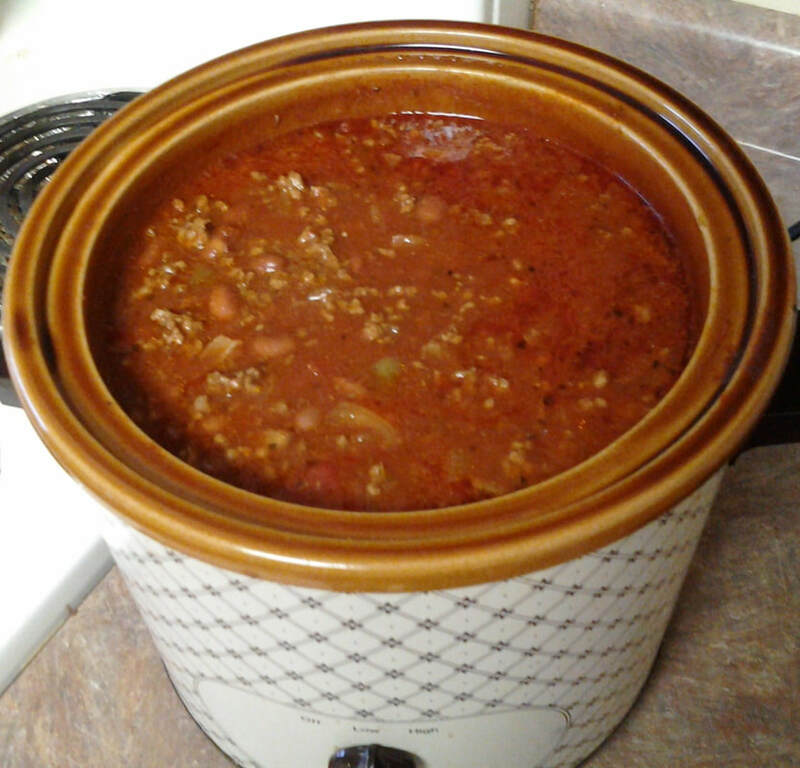 The taste of the canned chili will not over power the homemade – it just adds thickness. 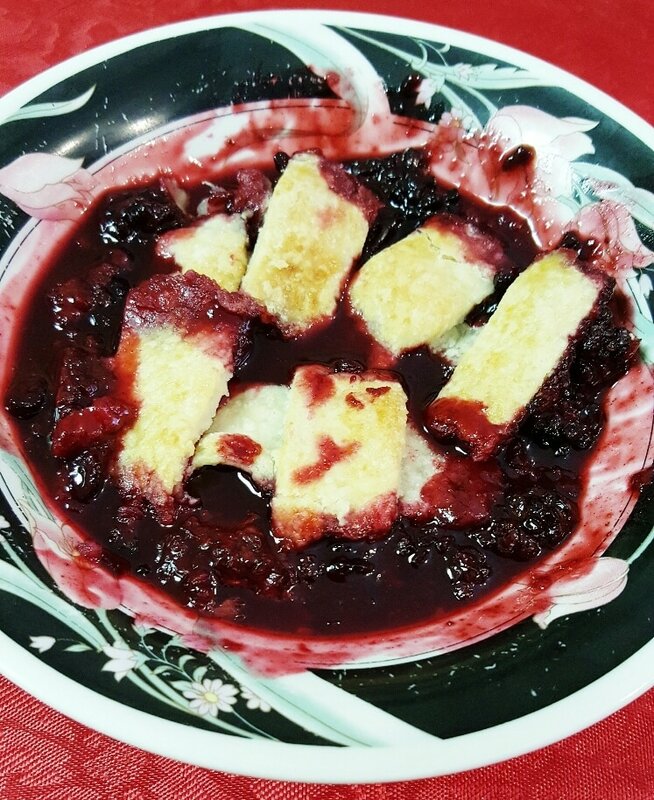 ​The other day, I saw Blackberry Cobbler on the menu at a local restaurant. I ‘love’ Fruit Cobbler – any cobbler, but especially Blackberry Cobbler. The picture display looked awesome. I couldn’t wait to taste it. We order Restaurant food, then bring it home to enjoy. When I unpacked our desserts and opened the lid to the container, the cobbler certainly did not look like the picture. As I dug my spoon into the hunk of sticky dough, there was no juice and few blackberries. The dough stuck to my throat. I pushed it back with disappointment, yet, I saved it for further scrutiny. The very next day, my sweet neighbor came to my door bearing gifts from a local ‘pick your own’ vegetable and fruit patch. A big bag of freshly picked blackberries were placed in my hand. I instantly knew what I would do with them. I didn’t have quite enough berries to measure the 6 cups called for in my recipe, so I checked my freezer and found a bag of mixed berries (blueberries, blackberries and raspberries). Luck was on my side – the berries in the bag measured exactly 2 cups. I pulled out my sweet mom’s cobbler recipes and went to work. The resulting cobbler was ‘amazing’. Lots of berry juice and plump sweet berries bubbling under a crisp flaky crust was just what I had been craving. As I have said many times, there is nothing as delicious as ‘homemade’. It takes a little time and effort to make tasty dishes of food at home, but the difference in taste is so worth it. And Kids actually like ‘fresh’ fruits that have been ripened on the vine. Vine ripening gives them their delicious taste and lots of juice, quite opposite of the ‘green picked’ versions found in stores which are flavorless, white on the inside, and dry of juice. Back in her days in the kitchen, My Sweet Mom went the ‘extra mile’ and ran the berries through a sieve to mash out all the seeds. 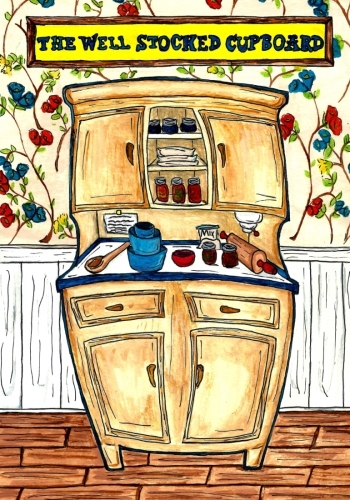 Her Blackberry Cobbler was made from pureed seedless berry juice. If you like a seedless version, you can do the same. Actually, 8 cups of berries can be used in this recipe, if you would like ‘more’. Just increase the sugar amount to ¾ cup and the apple juice to 1 cup – everything else remains the same measurements. Anyway, I hope you will try My Mom’s Recipe for a Delicious Cobbler. Your Family will love you for it. Oh yes, don’t forget that big dollop of Vanilla Ice Cream on top. Yum! Wash fresh berries – drain in colander. Pour berries into 9x13 baking dish. - Combine salt, cornstarch, cinnamon and sugar – Sprinkle over berries and fold in to coat berries – set aside. Make Crust: in large mixing bowl, combine flour, salt, sugar – mix well. Add shortening & butter to bowl cutting into dry ingredients with fork until crumbled in texture. Stir in 5 Tbsps ice cold water. Mix until dough follows spoon around bowl. Generously flour cutting board before placing dough ball on board. Sprinkle rolling pin with flour and roll dough into a rectangle ¼ inch thick. Cut dough into strips. Pour apple juice over berries – stirring in to mix well. Dot 2 Tbsps butter all over top of berries. Place strips of dough lengthwise over berries, then, crisscross some strips across width of dish making a lattice pattern. Heat 1 Tbsp butter in microwave until melted. Brush melted butter over crust then sprinkle with 2 tsps sugar. Bake 40 – 45 minutes or until crust is golden brown. Let cobbler set 15 minutes before serving. ***Note: Frozen berries can be used instead of fresh. Also, a combination of blackberries, blueberries, and raspberries makes a good cobbler. I used 4 cups of ‘fresh blackberries’ and 2 cups mixed frozen berries. (Made a delicious cobbler). Combine hot water and sugar - stir well. Mix vanilla extract, melted butter, and dry milk in with hot sugar water. Pour mixture into blender - process until smooth (about 2 minutes). Pour mixture into bowl, cover and chill about 30 minutes before using. Yield: about 14 ounces. Our Family thought these warm sweet muffins could cure anything from a broken heart to a sprained ankle. 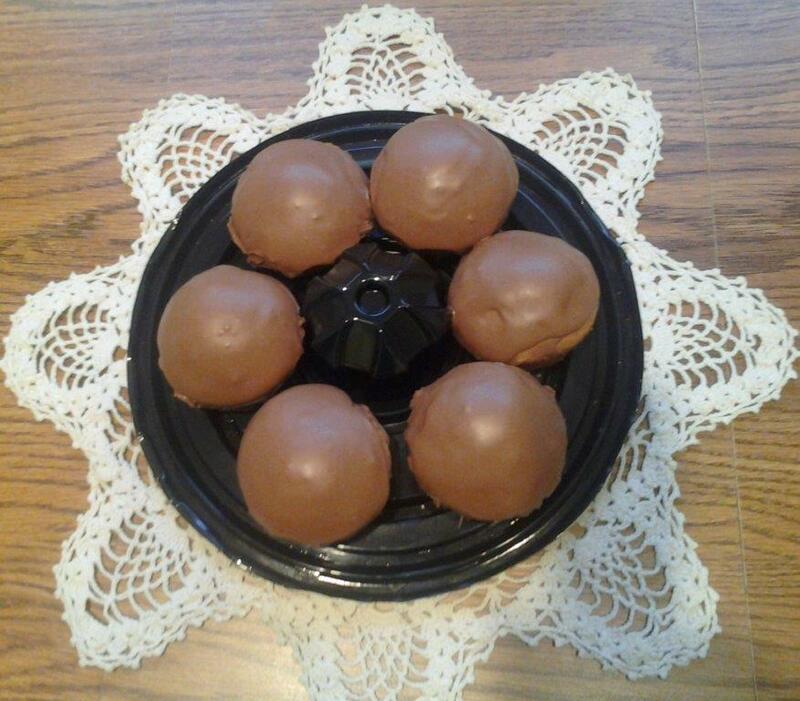 Sitting down at my mother's table and biting into one of those warm sweet tender muffins draped in that smooth satin chocolate glaze was heavenly. Maybe it was the moist sweet muffin; maybe it was the delectable chocolate glaze; probably it was The Love of a Mother's Heart that went into the baking process that was the magic. Whatever it was, our family found these muffins to be a good cure for stress. I am not promising the same results for you. Just try baking them and eating one and see for yourself. Prep muffin tin – grease and flour. In mixing bowl – cream together shortening, butter, sugar and vanilla extract. Beat mixture with electric mixer set on med/high until color lightens and mixture is creamy and fluffy. Beat eggs into mixture– one at a time – set aside. In another bowl – combine flour, baking powder, and salt – mix well. Alternately add flour mixture, milk and water to creamed mixture – mix only until flour particles are all moistened. Using ¼ cup measure – scoop batter into greased muffin tins. Bake muffins 25 – 30 minutes or until light golden brown. Fork sift powdered sugar to remove all lumps. Combine sugar and cocoa – mix well. Add extract and milk to mixture – blend well. Amount of milk depends on consistency of your choice. Spread chocolate glaze over warm muffins. Comfort food at its finest is serving up a warm bowl of homemade chicken and dumplings. 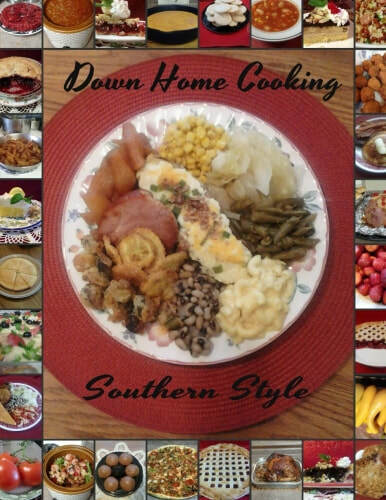 Both my mother and mother-in-law were such fantastic Southern cooks. They cooked from scratch and most of their recipes were tucked away inside their memories - very few of their recipes were written down on paper. I worked hard to salvage those wonderful foods that my husband and I grew up loving by making numerous trips to our moms' homes as they were cooking so that I could measure and record each step to make into a written recipe. 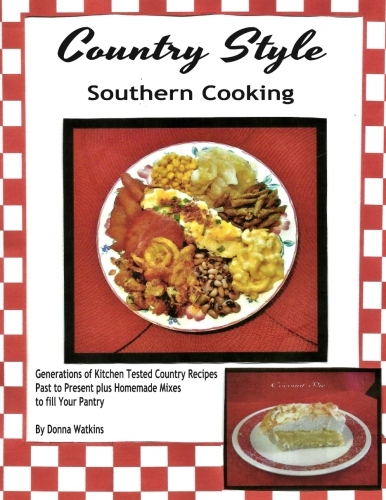 Their recipes and mine are in a collection bound together and published as Country Style Southern Cooking (by Donna Watkins) available on Amazon.com. Now my mom and mother-in-law were both fantastic cooks, yet their style of cooking was somewhat different. For instance, my Mom made fruit cobblers with a thickened fruit filling and a fluffy batter style topping; whereas, my Mother-in-law made her cobblers with thin juice, sweetened fruit, and pie crust strips laid across the top of the fruit which baked up to a thin crisp topping. Both out of this world delicious, yet, so different. 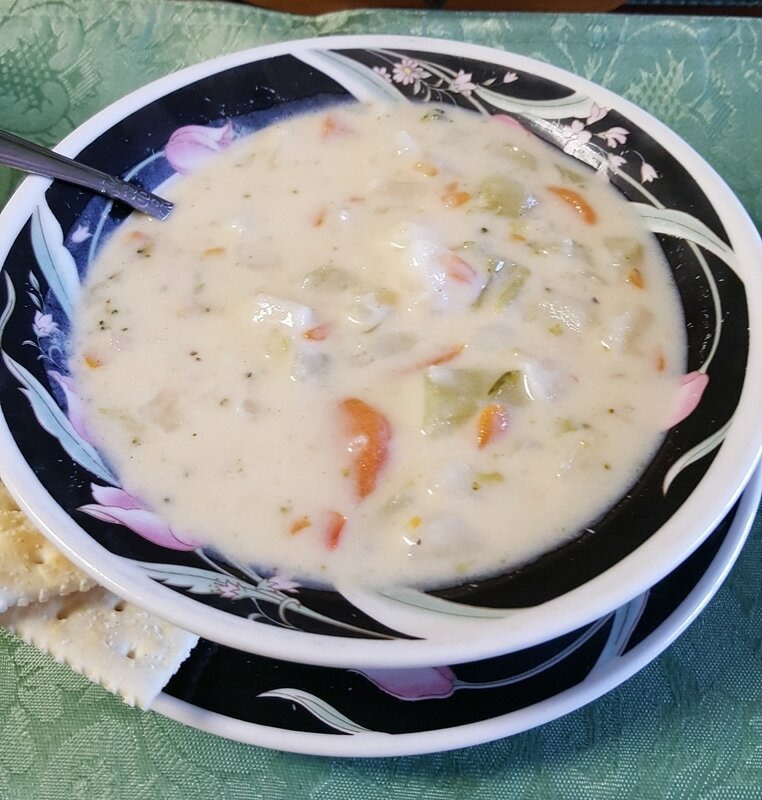 Same thing with their dumplings: My Mom made 'drop' dumplings which cozied up with some thick creamy broth. My Mother-in-law cut thin strips of dough and let them simmer in thin buttery broth. Their dumplings were made from scratch, of course. 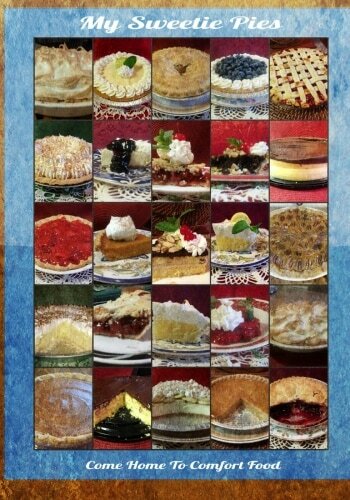 I have included those recipes in the cookbook. Yet, I have found a way to combine both of their recipes with a Quick Fix using flaky canned biscuits. It's not completely homemade but a close cousin and most folks won't be able to tell the difference. 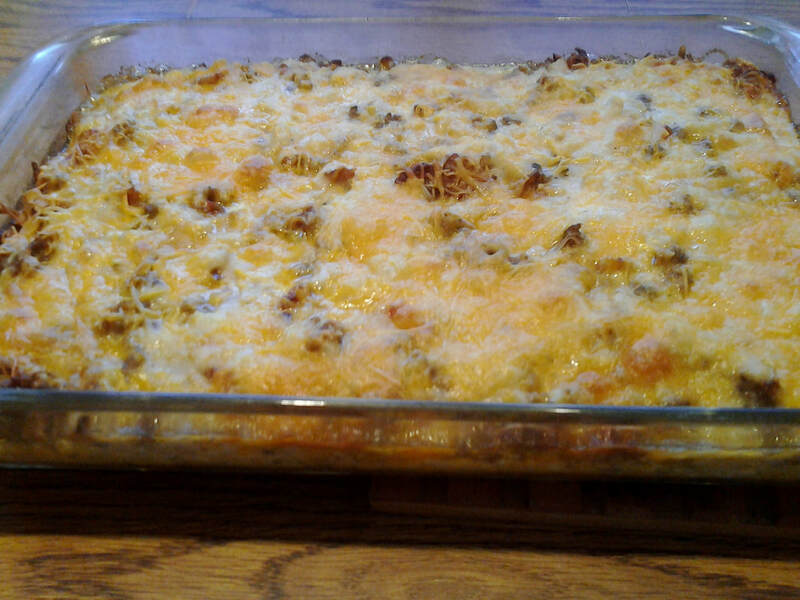 These can be table ready in about 20 minutes. So, here is your recipe: (Enjoy)! Shred or chunk cut 1 to 2 cups of pre-cooked chicken – set aside. In a large 5 quart saucepan, bring broth and butter to a simmering boil. While broth is reaching a boil temperature, separate the ‘layers’ of the flaky biscuits (there is about 4 layers per biscuit). Spread some flour across a piece of waxed paper – season flour with salt & pepper. Lay each thin biscuit layer onto the seasoned flour and coat both sides . Roll a rolling pin over the flour coated biscuits layers to flatten them. Cut each flattened biscuit layer into 4 strips. Drop the biscuit strips into the boiling broth. As the strips are added they will float. When the biscuit strips cover the entire surface of the broth- gently punch them down into the broth before adding more strips (this keeps them from sticking together). Cook dumplings about 10 – 15 or until a sample check indicates the dumpling is no longer doughy inside. During the last few minutes of cook time, add the undiluted cream of chicken soup to thicken broth – stir in gently . Add in the desired amount of cooked chicken (chicken should be warm). Serve up a steamy warm bowl of this Southern goodness. Preheat oven to 325 degrees. Lightly spray oil ‘tube’ (bundt) pan then lightly dust with flour – set aside. Chop pecans – drain cherries and slice into halves – set pecans and cherries aside. In a small bowl - beat eggs well – set aside. In large mixing bowl, combine cake mix and dry pudding mix together – add water, oil, rum, and beaten eggs to dry ingredients – mix well (either with electric mixer or about 100 hand strokes). Place broken pecans into bottom of tube pan (can use pecan halves if desired). Sprinkle brown sugar over pecans. Set cherries (cut side ‘up’) all around over the top of pecans & sugar. Gradually pour cake batter over cherry/pecan mixture ( be careful not to ‘dump’ batter into pan which will disturb the placement of the cherries – let batter flow from your tilted bowl as you pour it around in a circle). Bake cake about 55 minutes or until toothpick test is clean. Let cake sit in tube pan while you prepare the “Rum Sauce” to pour over cake. Rum Sauce Recipe below. After sauce has been prepared – (while cake is still in pan) – poke holes all around the cake’s surface with a toothpick – then pour about 1/3 of hot rum sauce over cake’s surface. Let cake sit 5 – 7 minutes then place a serving plate over the top of the tube pan (covering cake) – and ‘flip’ the pan over. 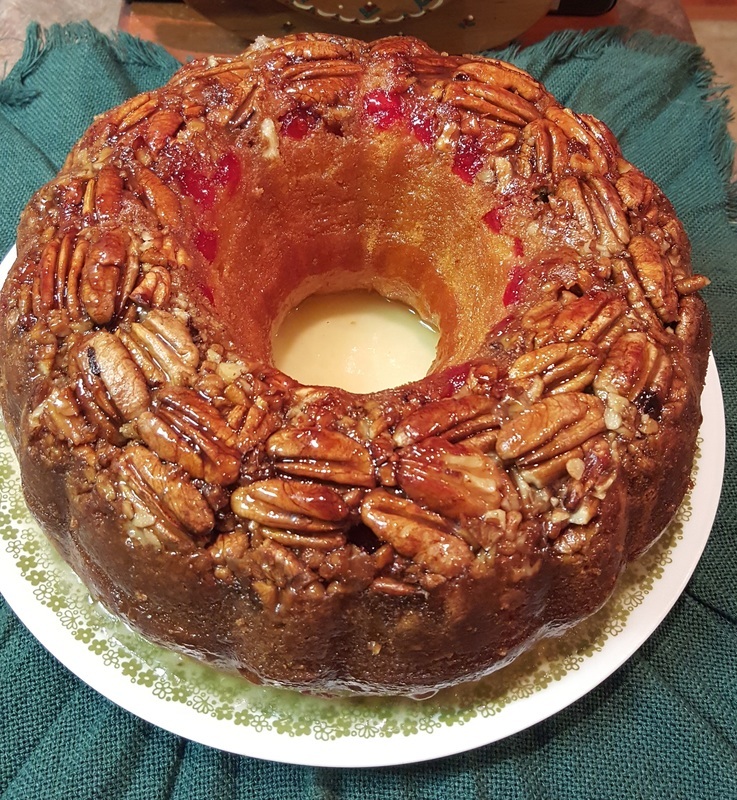 The cake will release from the tube pan and reveal a beautiful cherry and pecan covered top for your cake. Poke holes all around the top, sides, and inside the ring of your cake with a toothpick – be generous with the holes (they will be filled up with rum sauce). Gently spoon ladle hot rum sauce all over top, sides, inside ring of cake. Heat butter in deep saucepan – stir in sugar & water – bring to rolling boil – cook 2 minutes – stir in rum & vanilla – cook 1 minute longer. Spoon over cake. **Note: This cake is easy to make. The most difficult part is 'deciding' how much Rum is 'enough' to satisfy your 'Rum Tastebuds'. The basic recipe calls for 1/2 cup Rum both in the cake and in the sauce. However, the 'type' of rum affects the taste. Light (70 proof) Rum is not as strong. Using the 1/2 cup measure with the Light Rum will deliver 'just a hint' of Rum flavor. When using Light Rum, and desiring a 'stronger' Rum taste, the cook could re-work the recipe and use 1/3 cup water & 2/3 cup rum in the cake 'and' use 3/4 cup rum in the sauce. The standard 1/2 cup measures, when using 'dark rum' will deliver a notable 'rum flavor'. If the cook wants an 'intense' rum flavor, the above changes could be made, however, too much rum in the cake can deliver a strong 'alcohol' flavor to the cake which overwhelms the other delicious vanilla and butter elements that make this cake a classic. 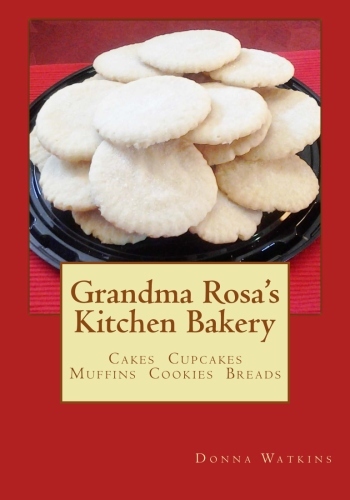 You can find many more wonderful Cake, Cookies, Cupcake, Muffins, Breads, and Roll Recipes in My Specialty Cookbook: Grandma Rosa's Kitchen Bakery. Only $7.99 makes it 'so affordable' - available at www.amazon.com, www.barnesandnoble.com, www.booksamillion.com, 'or' By Request at your local brick & mortar bookstore. Preheat oven to 350° degrees. Line ‘lipped’ baking sheet with parchment paper. Very lightly coat with nonstick cooking spray. Place crackers in single layer rows on baking sheet. In large ‘deep’ saucepan, melt butter and brown sugar together. Bring to a boil; boil 3 minutes – stirring frequently. The 3 minute time is pretty close – watch mixture closely to keep from scorching. The minute the sugar caramelizes and coats the spoon – it’s ready to remove from heat. Immediately pour over crackers and spread evenly with a spatula. Place in oven - bake 5 minutes. Turn oven off. 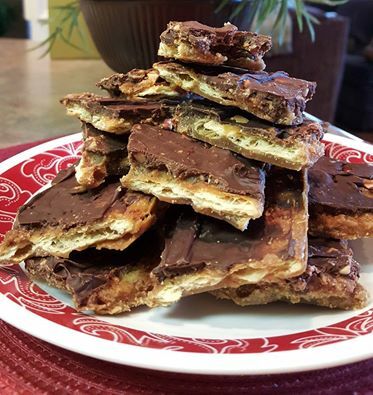 Remove baking sheet from oven - sprinkle chocolate chips over crackers and return baking sheet to the oven for 4 - 5 minutes more or until chocolate chips melt. Remove baking sheet from oven – immediately spread melted chocolate chips over top of crackers with spatula – spread into smooth layer. If desired, sprinkle nuts over top of chocolate layer. Place baking sheet in refrigerator for several hours for toffee/chocolate to set up. When hardened – remove from fridge and break into pieces. Can be stored in or out of fridge.